Study of acreage spanning Recapture and Jenny canyons goes to public comment as the Bureau of Land Management pushes Trump’s ‘America First’ energy strategy. (Trent Nelson | Tribune file photo) A cliff dwelling in Recapture Canyon, Thursday September 8, 2016. The Bureau of Land Management proposes selling oil and gas leases here and other archaeologically rich parts of San Juan County, including Mustang Mesa, Alkali Ridge and Montezuma Creek at its March 2018 auction. These public lands contain the remnants of Ancestral Puebloan culture, which flourished here 800 years aog. The BLM had closed Recapture Canyon, east of Blanding, to motorized use in 2007 after discovering an illegally constructed trail had damaged some of its archaeological sites. The Bureau of Land Management plans to move forward on nearly 52,000 acres of proposed oil and gas leases in archaeologically sensitive parts of southeastern Utah. Among the 43 parcels to be auctioned in March are several that span Recapture and Jenny canyons, Mustang Mesa, Alkali Ridge and Montezuma Creek — all spots harboring a rich record of Ancestral Puebloan habitation dating back centuries, according to an environmental review released on Friday. Environmental and historic preservation groups quickly denounced the decision, which the BLM said was made to further President Donald Trump’s “America First” energy strategy. The public has until Oct. 23 to submit comment on the environmental assessment. Comments can be submitted through the BLM’s ePlanning website, but they also will be accepted via email at BLM_UT_MB_Comments@blm.gov or mail to the BLM Moab Field Office, 82 East Dogwood, Moab, UT 84532. Two years ago, the BLM considered many of these same parcels, but deferred action because of their proximity to Hovenweep, Canyonlands and Canyons of the Ancients, according to the National Parks Conservation Association. The group “remains concerned that the [environmental assessment] doesn’t protect for night skies, natural sound, clean air and cultural resources in and around our national parks,” said Erika Pollard, the association’s Utah program manager. 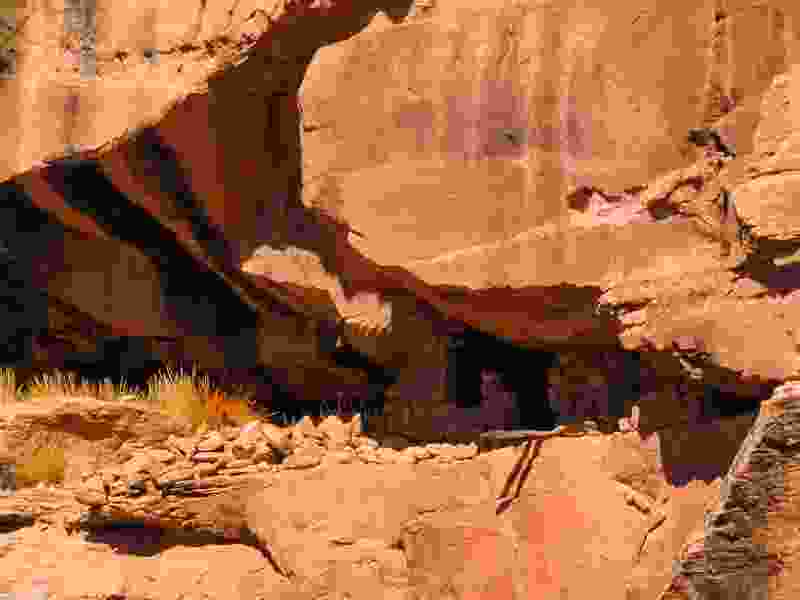 “It is irresponsible to go forward with leasing these parcels when, to date, little has been done to address these real problems that were raised originally and that could spoil our southeastern Utah national parks and the larger cultural landscape,” Pollard said. The BLM did defer leasing decision on three other parcels the oil and gas industry wanted released because their surface acreage is owned by the Navajo Nation, which opposes development on the site. But on the auction block are parcels that feature Three Kiva Pueblo and Recapture Canyon, which holds a trove of archaeological sites just east of Blanding. The canyon was a popular destination for motorized recreation before the BLM shut it down 2007, sparking years of controversy that remains a sore point among San Juan residents. The proposed leases cover southern portions of Recapture, from Browns Canyon south to Perkins Road, which contain the canyon’s most vulnerable archaeological sites. The BLM’s assessment gave special care to analyze potential visual impacts associated with seven parcels from five “key observation points” in Recapture and along the canyon rim. From one or more of these spots, Recapture visitors would be able to see development on about 8,000 acres. This suggests leasing would enable drilling within view of those who visit Recapture, where the BLM has recently authorized a network of trailheads and motorized routes. Motorized travel along the canyon bottom remains off limits. Utah and the county are challenging that part of the decision. The agency found that the parcel’s high visibility can be adequately addressed by imposing “best standard best management practices” when actual drilling is reviewed for permitting. “Strategic siting, color camouflaging, and vegetative screening of facilities would also decrease the likelihood that any future development would attract the attention of the casual observer recreating within or on the rim of Recapture Canyon,” the study states. Most of land proposed for leasing is east of the new Bears Ears National Monument. Under the BLM’s 2008 resource management plan, the area is open to oil and gas leasing without many special conditions protecting cultural resources. But they do bar disturbance on steep canyon walls and riparian areas on canyon floors, making development inside Recapture and other canyons very unlikely. The environmental assessment indicates 1,346 sites have been recorded within parcels slated for leasing, with 984 eligible for listing on the National Register of Historic Places. Two parcels are near the Alkali Ridge National Historic Landmark. Some of the historic sites are not that ancient. Two parcels overlap the Pershing launch area where missiles were shot into New Mexico’s White Sands Missile Range in the 1960s.